The Silk Road was a network of trade routes connecting the East and the West in ancient and Medieval times. The term is used for both overland routes and those that are marine or limnic. The Silk Road involved three continents: Europe, Africa and Asia. In addition to silk, a wide range of other goods was traded along the Silk Road, and the network was also important for migrants and travellers, and for the spread of religion, philosophy, science, technology, and artistic ideals. The Silk Road had a significant impact on the lands through which the routes passed, and the trade played a significant role in the development of towns and cities along the Silk Road routes. Many merchants along the Silk Road were involved in relay trade, where an item would change owners many times and travel a little bit with each one of them before reaching its final buyer. It seems to have been highly unusual for any individual merchant to travel all the way between China and Europe or Northern Africa. Instead, various merchants specialized in transporting goods through various sections of the Silk Road. The Silk Road consisted of several routes. Among the overland routes, the dominating ones where the Northern route, the Southern route and the Southwestern route. The easternmost point of the northern route was Chang’an, an important city in central China. Chang’an was the capital for more than ten different Chinese dynasties. The northern route became popular around the first century BC, when the Chiense Emperor Wu of Han, who reigned from 141 to 87 BC, used his army to keep nomadic tribes from attacking travellers within his sphere of influence. From Chang’an, the northern route went northwest through the Chinese provinces Shaanxi and Gansu, before splitting into three different routes. #2 followed the mountain ranges south of the Taklamakan Desert. #3 went north of the Tian Shan mountains through Turpan, Talgar and Almaty in what is now southeastern Kazakhstan. #1 and #2 rejoined each other again at Kashgar, an oasis city in today’s Xinjiang. After Kashgar, the routes split again, with a southern branch going down towards Termez and Balkh, and a northern branch going to Kokand and then west across the Karakum Desert. Before reaching Merv in Turkmenistan, both routes joined the main southern route. One branch of the northern route turned off to the northwest instead of continuing westwards. This one past the Aral Sea and went north of the Caspian Sea, before reaching the Black Sea. The southern route went from China through the Karakoram mountains. Because of this, it was also known as the Karakoram route. The Karakoram mountain range spans the borders of Pakistan, India, and China, and also extends into Afghanistan and Tajikistan in the northwest. West of the Karakoram mountains, the southern route had many spurs heading south to the sea, since many travellers wished to continue by ship instead of going overland. For those who did not head south to the ocean, the southern route continued over the Hindu Kush mountains and into Afghanistan, joining the northern routes before reaching Merv in Turkmenistan. From Merv, the southern route went westward in almost a straight line, through northern Iran, Mesopotamia and the northern outskirts of the Syrian Desert, to reach the Levant where ships were waiting to take the precious cargo across the Mediterranean to southern Europe. Continued travel over land was also possible from the Levant, either north through Anatolia or south to North Africa. There was also a branch of the Silk Road that went from Herat in Afghanistan to the ancient port town of Charax Spasinu by the Persian Gulf, passing through Susa on the way. From Charax Spasinu, the journey continued by ship to various Mediterranean ports, such as Petra. 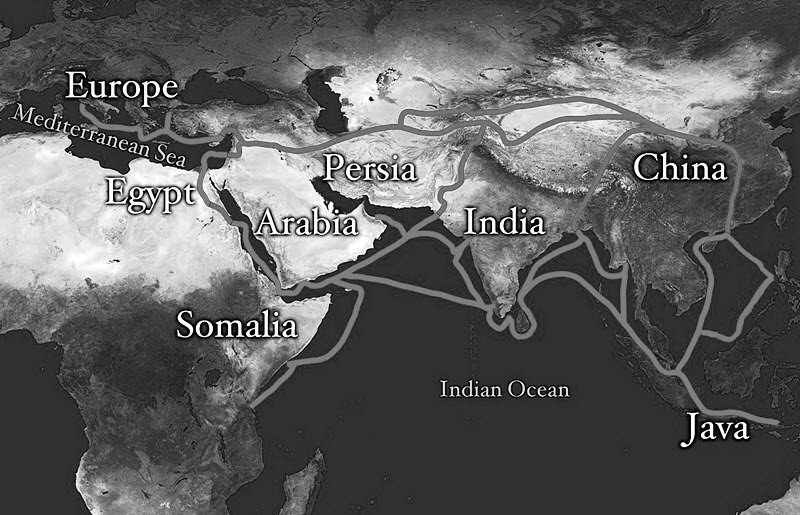 The southwestern route went from China to India, through the Ganges Delta. This delta region was an important trading hub, and archeological excavations have found an astonishing array of goods from various parts of the world here, such as ancient Roman beads and gemstones from Thailand and Java. 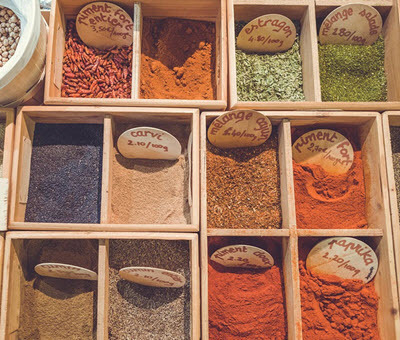 The regions role as a trading hub also meant that the area served as a currency exchange. Most western currencies never made it further east than this and most eastern and Chinese coins never made it further west than this. The traders in the Ganges Delta primarily used eastern currencies when they traded with eastern merchants and western currencies when they traded with western merchants. Traders would exchange currency with each-other to have the appropriate currency when trading with merchants from different areas. This was not strictly speaking necessary since the coins were made out of precious metals and their worth was determined by their gold or silver value. Many traders would none the less prefer to trade using currencies that was widely circulated in their part of the world. IE Western traders preferred the silver drachm of the Sasanian empire (Neo-Persian) or the gold solidus of the Byzantine empire (Eastern Rome) and eastern traders preferred Chinese currency. The traders in the Ganges delta did in other words fill a function similar to what currency exchange brokers do today. Currency brokers help facilitate the trade between different countries and cultures by allowing people to buy and sell currencies. Today these brokers also facilitate currency speculation and fx trading, The buying and selling of currencies to make a profit from changes in the exchange rate. This was not possible at the time of the silk road since, as earlier mention, the value of the currencies was fixed to the value of the metals they were made of. 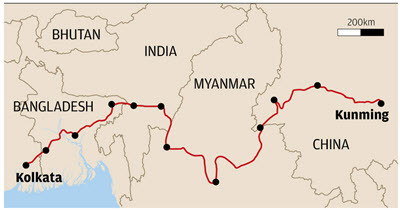 There is evidence for a trading route going from Sichuan in modern-day China through Yunnan, Burma, and Bangladesh. In some sources, the route is called Ledo. Even though the ancient Greco-Roman geographer Claudius Ptolemy (circa 100-170 AD) never travelled this far east, he must have been able to obtain information about the region through other travellers, because he produced a map where the Ganges Delta is depicted with a remarkable degree of acuracy. The map shows that whoever informed Ptolemy knew about things such as the course of the Brahmaputra River. The Silk Road is named after the lucrative international trade in Chinese silk textiles that started during the Han dynasty (207 BC – 220 CE). Using one single name for this intricate web of trade routes is a modern invention; the name Silk Road was coined by the geographer Ferdinand von Richthofen in the late 19th century. Being a German native, he used the names Seidenstraße and Seidenstraßen which translates to Silk Road and Silk Roads, respectively. Unsurprisingly, use of the term Silk Road is not uncontroversial.